Matt Ribley - Born in Texas, Raised in Ohio, University of Akron Grad. I've had a long career as a competitive water skier starting at 8 years old. While wrestling, skateboarding, and competing in MMA throughout the years to stay in shape for water sports; I fell in love with fitness and living a healthy lifestyle. With certifications in personal training, CrossFit L1, being a certified Ohio wrestling coach and years of experience in the field, I found that a key ingredient to being healthy in all areas of life is HAPPINESS! So if we are more worried about a scoreboard than we are about making ourselves feel good and doing what's right for each of our unique bodies, our individual HAPPINESS is at risk. My passion is your happy, balanced life! The atmosphere Hustle House provides is excellent with very thoughtfully crafted programming, awesome coaching, good observations/suggestions and great with meal planning. This place will help you achieve your goals for a well balanced life. The environment provided is exceptional in all aspects. If you want to improve your life, look great in the mirror, get exceptionally strong or find inner balance, this is the place. I met Matt in the spring of 2016 during a particularly difficult period in my life. My husband suggested I go try Matt's class at the gym where he works out. He said Matt is a fantastic coach, patient, and very knowledgeable. I surprised my husband with a picture with Matt the very same day! Matt is everything my husband described and more. Besides coaching me through some intense workouts, he taught me the proper form and techniques to do things I would have never dreamt I could do! Meeting Matt was a blessing and he came into my life exactly when I needed him. He's not just a great coach, he's become a close friend and I'm excited to see what the future brings for him and Hustle House!! Ever since I could remember I wanted to become a professional water-skier. Growing up in the water ski community, skiing professionally was only just a dream. That's what's so special about Matt Ribley and Hustle House ; making dreams become a reality. I started training with Matt when I was 14 years old with one goal in mind, to become a professional water-skier. Matt would go out of his way to train me on his own time, even though I had no money to pay him. And it didn't matter to him because he saw a potential in me that I didn't see in myself. From previous sports and injuries I had a few knee surgeries and never thought that I would be able to come back stronger, I was wrong. Matt worked with me and helped strengthen my knees to where they are able to withstand whatever I put them through. Then after 5 years of training I received an offer to professionally water ski at SeaWorld San Antonio, my dream came true. Through the injuries, the mental breakdowns, the good times and bad, the blood sweat and tears, he stuck with me and kept me on track. It makes me cringe thinking about where I would be without Matt Ribley. Dreams do come true, and with Hustle House's help mine did. I'm forever grateful for my coach, my mentor, and my friend. Hustle House : fitness to make your dreams a reality. Matt was a big part of our teams success in the 2013-2014 basketball season. His workouts were unique, and very effective. At the end of his conditioning program our guys were in great shape and it showed in every game. We went undefeated at our level and won a National Championship. I started working out with Coach Matt over two years ago. As a former college athlete and mom of two, I was ready to get back into shape. I trained with Matt for 8 months and in that time, yes, I got stronger and started to feel like an athlete again. What I didn't realize about this stage in my life is that creating a healthy lifestyle is a process. Not only did I want to look good and feel physically stronger, I needed to learn about myself and how to enjoy the journey. Coach Matt listened to my needs and pushed me, but he also taught me how to combine nutrition, strength and mobility in a way that has made me the best version of myself. He cares about his clients and his never-ending commitment to each individual pulls out the best in every one of them. I started seeing Matt during my freshmen year of high school. Immediately, he instilled in me a desire to work hard. He knew how to keep me motivated and shortly had me faster and stronger than I've ever been. During my sophomore year, I suffered a broken femur in a football game. Many people never thought I would never play again. But Matt believed in me and built me back up. Without him, I wouldn't be playing football or be the athlete I am today. Coach Matt Ribley asked me when I was 16 what my dream was. I answered "to become a professional wake skater." Now, at age 23 I have achieved my goal. Matt took time out of his life to ensure my success and orchestrated my transformation into a professional athlete. By incorporating his programming and structuring my training, I have now achieved many successes in wakeskating and in life. Hustle House is a sure fire way to change your life. Set goals and smash them with the best personal trainer I have ever encountered. Your gym and coaching is by far some of the best classes I have ever attended. Your personal touches and attention make all the difference. I surprise myself at how often I go to work out, I'm stronger and fitter and doing classes that I thought I could never do. You helped me to learn to enjoy exercising and to incorporate it into my daily life. Matt has been my trainer/ fitness advisor for many years now. He took time out of his busy life to help me reach incredible heights and achieving many athletic goals including winning a division II college basketball National Championship. He developed a program and made it easy for me to follow every step of the way. His passion and his relentless pursuit of excellence set him apart from any trainer I've ever encountered. Matt is so much more than a personal trainer and my relationship with him goes much further than athletics and fitness. I look at Matt as a mentor and friend that I am lucky to have crossed paths with. Hustle House has given me structure to my workout routines to help reach the goals I have as a stunt performer. Daily changes between heavy lifting, circuit training, cardio and stretching keeps my body guessing so nothing ever gets complacent. Different regiments also keep workouts fresh each day and I'm always excited to tackle the next one. Hustle House will conform to your skill level and needs to make your goals attainable. Coaching with Matt for my internship was one of the greatest summers I have ever had. Not only is he an amazing Coach, but he is an outstanding friend to everyone. 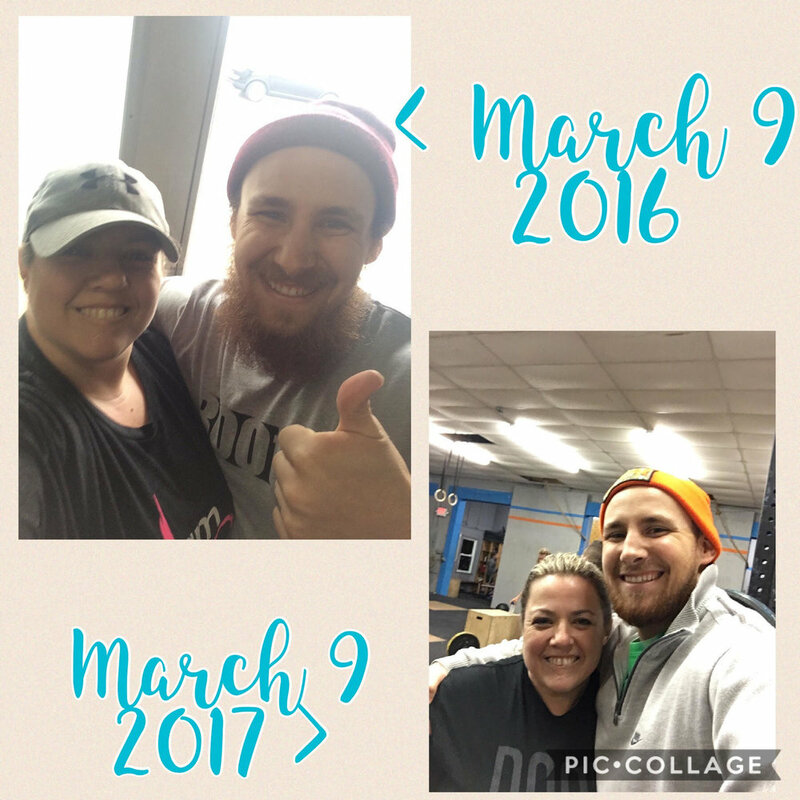 From the time we walked into the gym at 5:00am to the time we walked out he filled the room with positive vibes and encouragement. He is so easy to work with on a coaching and training level and he always finds a way to help those he is working with to succeed. I have truly never met a more passionate, driven, kind, and down to earth trainer. He has impacted my fitness journey as an athlete and a coach on a scale that can't be measured. If I could move to Woodstock, Georgia, I know Hustle House would be my new home. Growing up I played a lot of sports but basketball was the sport I became the most passionate about. After a great senior season in high school, my goal was to play competitive basketball at a high level. I was fortunate enough to receive a full ride to Lake Erie College, a Div.II school in Ohio . The first two years didn’t go as planned; all I played was clean up minutes at the end of games - or not at all. This killed me on the inside, I couldn't take it anymore and knew something had to change. I craved competition and decided to redshirt my 3rd year because I knew I would continue to see limited playing time. This allowed me to save a year of eligibility so I could transfer to another school and have 2 years to contribute to a team. This is where Matt comes in. I met Matt through my sister and told him how frustrated I was with my college career and that I needed help to become the player I knew I could be. Matt told me I needed to become much stronger physically - and mentally - to go to the next level. So on January 1, 2014 I began a daily diet and workout routine that Matt designed for me and made me commit to for the next 6 months. He would check in with me several times a week, encourage me and answer every question I threw at him. After 6 months of training I felt completely different. Then when summer came he introduced me to High Intensity Training and pushed me through mental and physical barriers I could’ve never have gotten through in the past. Matt has a perfect balance as a trainer; he can modify workouts to your needs and understands when your body needs a break so you don't get hurt. At the same time he's hard on you and pushes you through mental barriers. Sometimes during workouts I would get pissed at him because he would tell me to do things that I thought I couldn't do, until I actually did them! We would laugh about it after and this helped me get to another level of trust and confidence in my fitness and basketball career. Because of the breakthroughs Matt helped me achieve, I was able to make an instant impact when I transferred to Geneva College during the 2014-15 seasons and began playing the best basketball of my life. I was named First Team All-Conference, 3rd leading scorer in the conference, and was the “go- to” guy for my team. The next summer I had to have knee surgery which concerned me heading into my senior year. But Matt helped me work my way back from the surgery with modified workouts and constant encouragement. My senior season was my best ever as I was All-Conference again, and led the conference in scoring and field goal percentage despite missing the first 4 games of the season. Matt is a great trainer and also a great friend. He will bring out the best in you and help you reach your dreams - if you let him! Let him push you, trust the process, and watch the results unfold !